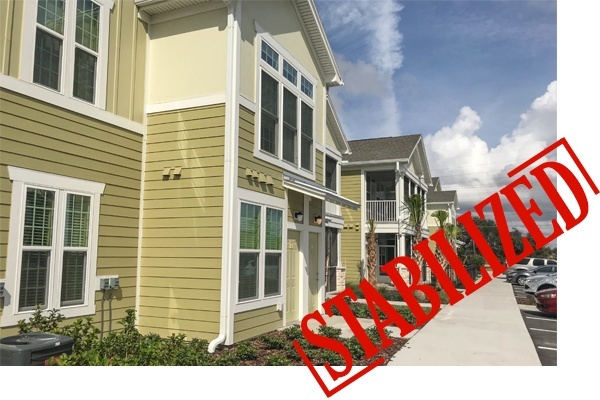 Achieving a stabilized community takes the effort of the entire Continental team. Our goal is to reach 95% occupancy, which starts with the conception of project. Chris Moore, Director of Multifamily Acquisitions, found our site. Eric Thom, VP of Development Services, obtained all necessary city approvals. Brian Nick, Director of Construction, and Justin Sell, Senior Project Manager, managed the construction costs for 2 years while we secured approval for the community. Bob Kolesar, Senior Project Manager, oversaw a successful site construction and delivered our project ahead of schedule. Luke Porath, Finance Director, worked with our lender to obtain the approvals needed for financing. Anthony Hazkial, Corporate Counsel, led all legal efforts. Lashana Brown began our lease-up efforts at Springs at Tapestry - her third Springs community, before transitioning to the position of Traveling Community Manager in mid-2018. Celenia Medina, Community Manager, joined us in July of 2018 to lead our team to a successful stabilization. Since opening our trailer, our team has worked very hard to achieve resident satisfaction and ensure that Springs at Tapestry is a success. A significant number of team members have played a role in the success of Springs at Tapestry. Great job and Congratulations Team Continental!